This isn't exactly an autograph event. Nevertheless, it should be an interesting time. A 'Baseball Night' showcasing the art of Jon SooHoo, official photographer for the Los Angeles Dodgers, will be presented in the South Pasadena Public Library Community Room on Thursday, August 17 at 7:00 p.m. Jon SooHoo, the Dodgers' photographer since 1985, will be sharing many of his favorite photos, including some that have been permanently etched into the iconography of Los Angeles baseball history. Go here for more information. 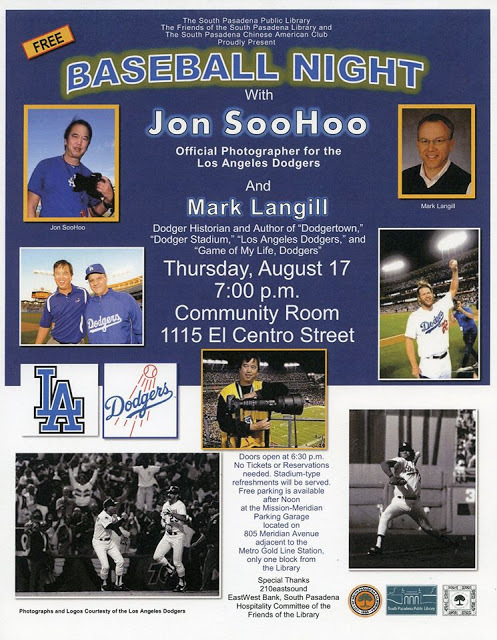 The event will be moderated by Mark Langill, the Historian for the Dodgers and the author of numerous highly-regarded baseball books. Mark can be seen frequently on the SportsNetLA television network and his articles appear regularly in Dodgers programs and yearbooks, as well as in The Quarterly. The free event for all ages is presented by the South Pasadena Public Library, the Friends of the South Pasadena Public Library, and the South Pasadena Chinese American Club. 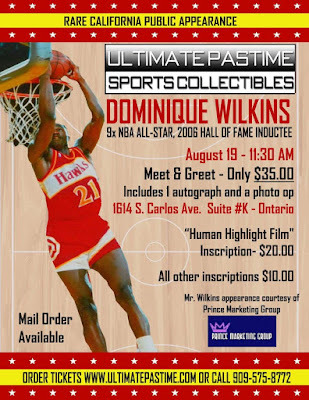 Basketball great Dominique Wilkens will be signing autographs for fans on Saturday, August 19th from 11:30am – 12:30pm at Ultimate Pastime Sports Collectibles in Ontario. Go here for more information. 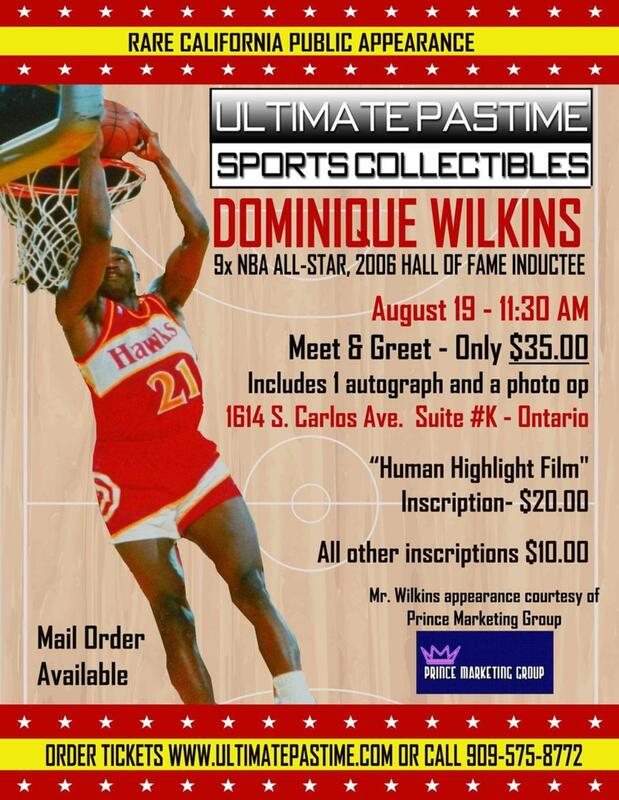 $35 Any Item & Photo Op, Inscriptions $10-$20.